This week the John Pirie observes a suspicious looking vessel from afar. They are not sure as to the type of vessel, but suspect it is a pirate or slave ship. The John Pirie hoisted their colours to avoid an attack, and fortunately the unknown vessel sailed out of sight without causing trouble. Piracy is not a thing of the past and still exists today. The International Maritime Bureau defines piracy as “the act of boarding any vessel with an intent to commit theft or any other crime, and with an intent or capacity to use force in furtherance of that act.” Piracy affects trade and costs the shipping and oil industries billions of dollars each year. Everyone is affected by piracy, including you! What emotions would the crew onboard the John Pirie have been feeling as the unknown vessel sailed closer to their ship? What actions would the crew have taken if threatened by a pirate ship? The suspicious vessel could have also been a slave ship. What was the slave trade, which countries were involved and how were slaves treated? In which ocean regions does piracy still exist today? What are the reasons piracy still occurs? Who are the United Nations Piracy Council and what are they doing to reduce piracy across the globe? How does piracy affect you? • Draw a flow chart to show how piracy has changed since the 16th century. • In which contexts is the term piracy used today? • How do we know about real pirates from the past? 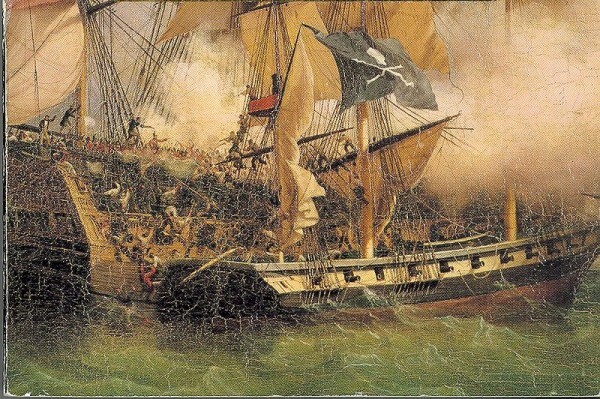 • The ‘golden age’ of piracy was between the 16th – 18th centuries. Who are some well known pirates of this time? 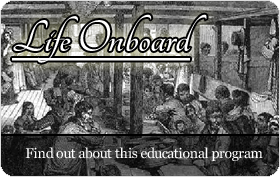 Discuss what life may have been like on pirate ships during this time. What would the pirates have wanted? What types of things would the pirates have had on board their ships, and how would they have used these things? • Develop critical thinking skills when using websites to research pirates from the past. Compare and reference websites, to ensure accuracy of information. • Investigating the roles, intentions and motives of pirates in relation to past and current events and issues. • Discuss, research, and take notes on the similarities and differences between historic and modern piracy. Use a Venn Diagram to present your findings. • How does Hollywood glorify pirates? Interview students from all year levels in your school to find out their perspectives. Collate your findings. Is there a need to educate others and change their perspectives about pirates and piracy? • The answer is 'pirate,' what is the question? • Develop a PMI to examine life as a pirate, either today or in the past. • What would you do and say if confronted by a pirate? Think about how you could negotiate yourself out of a difficult situation. Role play this scenario. In what other situations are good negotiation skills necessary? 1. Ask students to develop a mind map containing words that come to mind when they think of pirates. Include information about appearance, activities, tools and locations. Collate these and work together to research the accuracy of student’s perceptions. 2. Use a map of the world to locate the regions in which piracy still exists today. In which areas does piracy occur the most and why do you think this is so? 3. Many people know of fictional pirates such as Jack Sparrow and Captain Hook, and still today think of pirates as patch wearing, buccaneers. Piracy is a serious problem, of which many people are unaware. Write a report to educate the general public about the status of piracy today and give recommendations for eradicating piracy. 4. Research a real pirate from the past. Write a one page biography that summarises your chosen pirate’s life. Collate the pages to develop a class book about pirates from the past. Which pirate was the most perilous? 5. Design and make a model of a pirate ship. 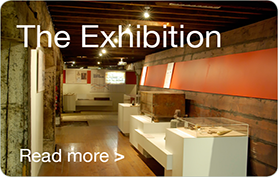 Find out what materials pirate ships in the 1800’s were made of and the items onboard. As a class, develop a Rubric that will be used to assess student models. Students share their models and use the Rubrics to provide feedback to their peers. The suspicious ship seen on the 13th May 1836 by the John Pirie was a pirate ship and conflict occurred? Governments should pay ransoms to pirates. Next week we find out which ship is nearing the equator. What emotions are the passengers on onboard experiencing and why has the journey become not so pleasant?